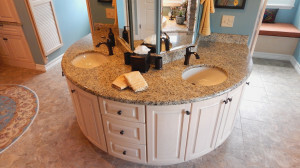 This entry was posted in Bathroom Remodeling Hanover Bathroom Remodeling York Bathroom Remodeling and tagged bathroom Bathroom Remodeling Construction Remodeling on October 17, 2014 by Jake Sponseller. Have you been wanting to give your bathroom a more unique, modern look, but haven’t because of the cost that comes with such a big project? Well you’re not alone. While the bathroom can be one of, if not the most expensive rooms in the house to renovate, there are ways to achieve your vision without it costing an arm and a leg! It’s really about the decisions you decide to make. There are many ways to get around the large expenses that come with remodeling a bathroom. Below, we are going to go over some tips you can use to give your bathroom a new fresh look on a budget. 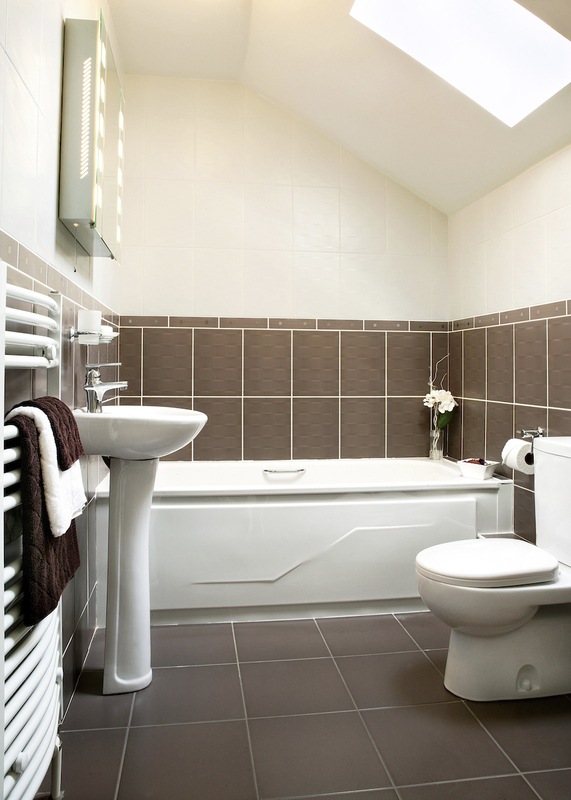 Tiles have a big role in the appearance of your bathroom. Sometimes broken or cracked tiles can kill the look of your bathroom. Fix the things that need fixing first! Replacing tiles or missing grout can help the appearance of your bathroom greatly! It may even be a good idea to replace all your tiles. 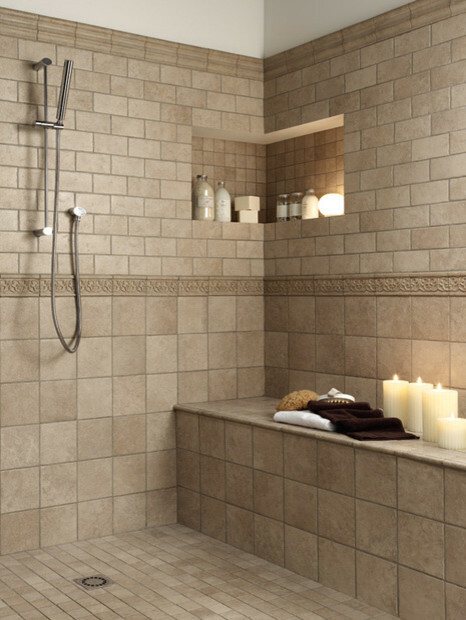 Sometimes changing the color of your tiles will give your bathroom a completely different feel. There are many different types of tile styles and colors you can find that are in your budget range. 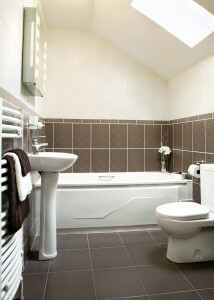 Tiles are defiantly a great place to start when renovating your bathroom. Another thing that can completely change the look of a room is some painting. A new paint job not only freshens up a bathrooms look, but also serves other purposes. If you are thinking about selling your home and you’re doing bathroom renovations to try and raise the value of your home, keep this in mind. Neutral colors are best for bathroom style longevity. Stick with beiges, whites and other low key colors. Use accessories to add splashes of color to the bathroom. You should also consider using contrasting colors to highlight area’s where it is appropriate, such as window seals and cabinets. Painting does not always need to be an expensive task. Many companies that provide painting services will work with you on finding the type of paint you like while remaining in your budget. Another thing you could think about doing is, refurbishing your wooden cabinets. Have someone sand the wood on your existing cabinets and stain or repaint to compliment the bathroom walls. This also might be the time to fix any dents or broken parts of your cabinets before painting. While doing this you might want to refinish the trim around the windows and floor as well. You don’t necessarily need to go out and purchase new lumber. When done properly, you can carefully remove the existing trim and make it look like new. Sometimes a good sanding and new varnish will give you the appearance of new trim with a fraction of the cost. We already talked about tile flooring above, but what about all the other floor types? Tile flooring is not the only flooring that you can revamp to bring your bathroom back to life. In the event that you have a wooden floor, you could always refurbish it. Have someone give your wooden floor a good sanding. After sanding you can apply two or three coats of varnish and your old wooden floor will have a brand new look! Another popular floor type that can be changed easily is linoleum. Linoleum flooring can be removed and you have the option of either refinishing the wooden floor underneath or replace it with vinyl tiles. There are tons of flooring options you can choose from that will be in your price range. You should now have the knowledge needed to get a new fresh looking bathroom. The only thing left is accessories. One of the last things you can do is replace towels, curtains, rugs and other various items found around the bathroom. You might even want to get new hamper and wastebasket. New accessories can always help uplift the look of your bathroom and help you achieve the look you are going for. Most importantly though, if this is a bathroom you are revamping for yourself, do what you want! Be creative, do your own thing. Choose colors and accessories you are going to enjoy for years to come. Hopefully after reading this you will have the confidence to begin that bathroom project you’ve been putting off. So many people continue to put off a project like a bathroom remodel because of the high cost that normally comes with it. Now that you understand that you can achieve a new look just by revamping your existing materials, your ready to go! The majority of people won’t have the tools, skills or knowledge to do some of the talked about things on their own. If you are in the Southern PA or Northern MD area, then consider giving ASJ a call. ASJ offers all forms of construction services. They will work with you from beginning to end to help you achieve the goal you are trying to reach.